A birthday celebration in rural India takes a visitor on a nighttime safari. 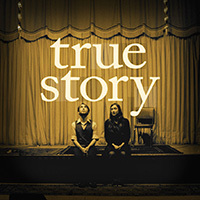 True Story is a secret society of anonymous storytellers. In living rooms, attics, and vacant lots, on rooftops and around fires, we gather to tell each other stories from our lives. Automatically receive new stories via iTunes podcast, Soundcloud, Stitcher app, RSS feed, or good old-fashioned email. Proudly powered by WordPress | Theme based on Chunk by Automattic.